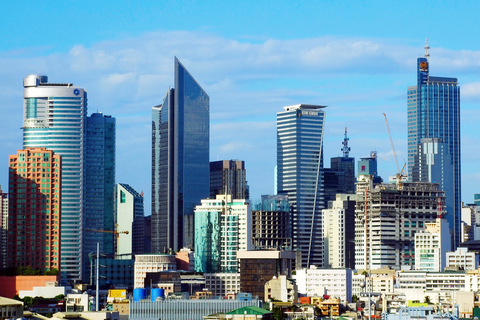 The collectively bullish outlook for the Philippine economy in 2014 is undoubtedly good business news to local businessmen. Esquire Financing’s COO shares his expectations and forecasts for the economy, for various industries, and for the local financing sector this year. “2014 is the best year yet to start or grow a business.” It is an encouraging declaration from Navin Uttamchandani, President and Chief Operating Officer of Esquire Financing Inc., a financing company that focuses on small and medium-sized enterprises. At the same time, he advises local entrepreneurs to ‘take the leap of faith’ after determining and assessing possible risks. Uttamchandani’s views echo the bullish outlook for the country of almost all financial experts, credit ratings agencies, financial institutions, and corporate entities here and abroad. An international insurance company (Canada’s Sun Life) expects the Philippine economy to remain as one of the better growth stories in the Asian region. There is unanimous opinion among most analysts that the local economy would continue to head north despite the recent bumps caused by the onslaught of natural calamities in the last several months (a strong quake in Bohol, the devastating typhoon Yolanda in the Visayas, and a series of flooding incidents in Mindanao). Without any doubt, this is good news to entrepreneurs. Uttamchandani is positive that without any major change in key economic drivers and policies, this year would possibly replicate the strong performance of the economy last year. “Growth will remain robust and one of the best in Asia, and leading financial indicators such as the stock market and currency shall continue to trace fundamental and technical trends in the market,” he predicted. Presently, the country’s stock market is considered to be at an ideal level. Most analysts forecast the Philippine Stock Exchange index (PSEi) to reach as high as 6,500 from the current 6,000 level. The index reached record highs in 2013 amid continuously rising investors’ confidence on the local economy. The country is expected to be among the most attractive investment destinations this year. “One cannot help but think that the growth engines for 2014 will be those that are part of the government’s key priorities,” Uttamchandani asserted. To him, the most promising industries this year are tourism, business process outsourcing (BPO), and information technology (IT). The lending industry in the country is expected to remain rosy this year. “The lending industry is arguably the growth engine of the economy as it provides the fuel for businesses to expand. As such, a growing economy can only be supported by a developing lending industry,” he said. About the rates, he reiterated the general consensus that the previous policy decisions by the US Federal Reserve would continue to lead the Bangko Sentral ng Pilipinas (BSP) to maintain local interest rates at present levels. He added that this may prevail at least for the first half of the year. Uttamchandani admitted that it is difficult to predict the direction of the Philippine peso’s track this year. But he thinks that no major surge or decline from current levels may be expected. To date, the local currency remains weak, thriving within the range of P45 to P45.50 to a dollar. This may alter any business plan of exporters and importers as their businesses are affected by exchange rates: exporters would enjoy additional revenue from currency conversion, while importers would find the materials they buy from abroad more expensive. Trade finance would remain as an underdeveloped financial service. This may also continue to set limits on how many businesses must execute their operations. For its part, EFI would continue to provide assistance by lending funds that are necessary to bridge receivables and payables of growing entrepreneurs. The Esquire COO assured that the company would remain ‘focused to its key thrust of helping businesses grow’. EFI gives financing options to SMEs that are in their growth stage. To know more about the company’s financing offers and to find out how it can help you grow your business throughout the year, check out the directory listing of Esquire Financing Inc here .